Last weekend I did my home-stay. Although I was glad when it was over it was still fun. I stayed with a couplein their 60’s and it was obvious we were from different planets. I still found them cute and friendly. They lived in a mansion. The husband was an architect and designed their classical Japanese style manor on a compound with the houses of their children (in their 30's). Apparently my host father’s ancestors had lived in the same area as far back as they can recall their history. I was enthrawled. So what did we do? 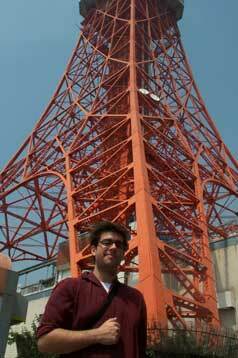 Well, to start we realized my dream of getting a picture of myself with Tokyo Tower in the background. There was even Engrish at the top of the tower. 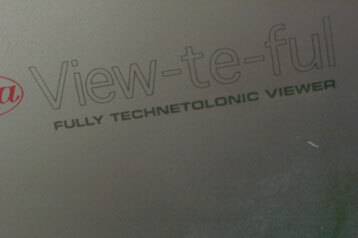 I'm not sure what's funnier, the Engrish or the attempt at a pun on the sound of "view". 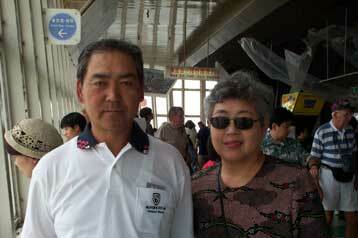 Afterwards, we went to Kasumigaseki and other assorted centers of commerce and government and Yokohama to see temples. I ended up watching a lot of baseball and the news (including a storm weather warning done to the tune of “Rock you like a hurricane”). The second day I was there, there was this huge fireworks festival in a field near the compound so we watched it all from the balcony of one of his son's houses. I think that the fireworks were better than the fireworks at the other festival, though I couldn’t get a good picture, so just imagine it. It seems like every day is a festival here. It also rained a bunch. Like more than during the super weak hurricane that happened 2 days before. Aside from the regular day to day life of a foreign language student, I also get to go on field trips. This week’s adventure happened to be Kamakura, home of many temples and the second largest statue of Buddha in all of Japan. 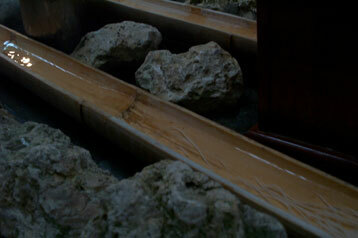 After we had walked for a while we stopped at this restaurant and ate "nagashi somen" (“flowing noodles”). The idea behind nagashi somen is that everyone sits along a long bamboo rod and attempts to eat somen as it flows down the rod before landing in a large barrel. If the somen hits the barrel you loose (not that you really loose anything). Therefore, the person on the end has to eat what everyone else doesn't. I sat close to the end and I don't think I've had that many noodles in a long time. One of the leaders of our group was a Japanese girl that had studied in El Salvador. When she found out I spoke some Spanish she struck up a conversation. Since my Spanish isn't nearly as good as my Japanese, we ended up having a conversation on life in El Salvador in the strange tongue of Jaspanglish. This week we went to the second largest fireworks festival in Tokyo. It was amazing. I can't explain it, but I have many pictures. 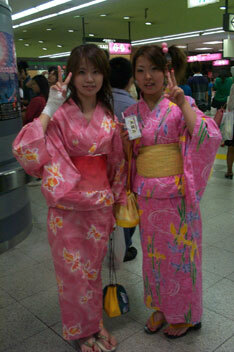 There were so many people dressed in traditional garb that I thought I was a samurai. I met this really interesting Japanese girl, who also happens to be a mac user and wants to get into 3D design. She was with this British guy who's the same age as myself (21) but is going to rule the world apparently since he has his own consulting firm and met the head of Sony a couple of days previous. Still, despite this, it seemed like she enjoyed talking to me more. Mwa ha ha. Nothing much today, except that I finally got a bunch of pictures I've been meaning to take. Some of the people from my dorm and myself went to Matsudo to get our alien registration cards. Yep yep yep, that’s pretty much it. 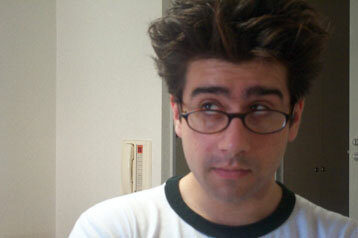 Oh wait, I cut my hair.